The rusticity of pallets can stay much better in all your living environments, just get your creativity and ingenuity involved to play with pallets to recycle them! 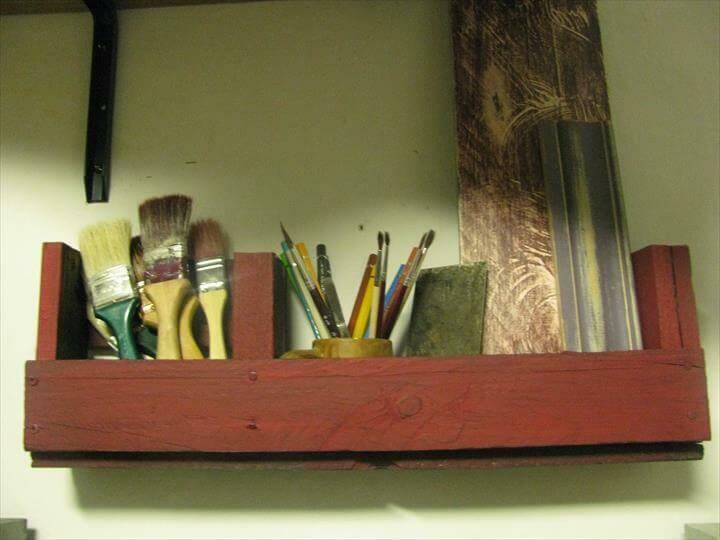 It is just a great wood medium to recycle and one can get much out of it using his own creative mind! Spaces and environments, in which you operate, can all be modernized and made more functional Using these rectangular skids which are mostly thought not more than a wood waste! 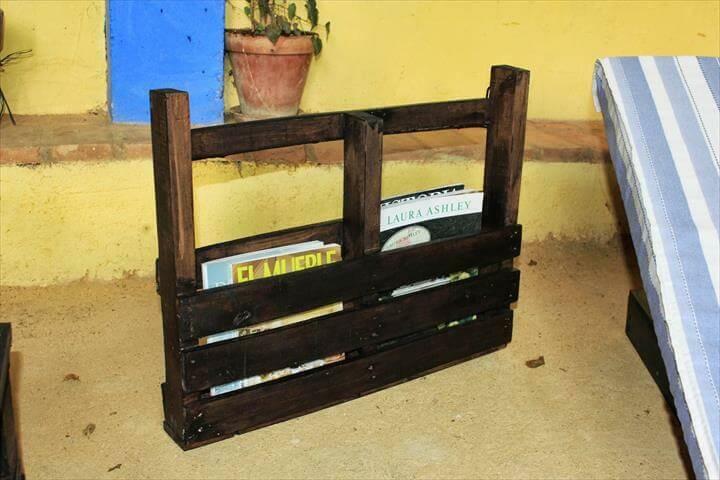 This time we want to explore some ideas to you that will help you to turn the pallets into amazing shelf styles! Here are some practical looks of DIY wood pallet shelves that can suitable for several of your purposes and needs! Just build up some little frames using the removed pallet planks or just cut the pallets from bottom by leaving two or more planks to give you a perfect shelf design! By make these DIY pallet wall shelf distressed, stained and painted your can get the most personal look to beautify your interior walls too with them! 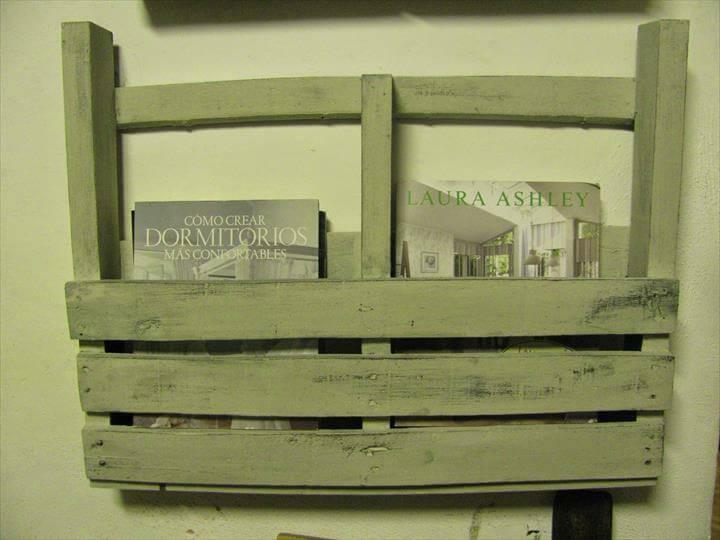 Create a holding box using only 5 different sizes of removed pallet slats, paint in your favorite color and mount to any of your wall throughout your home as a bookshelf! 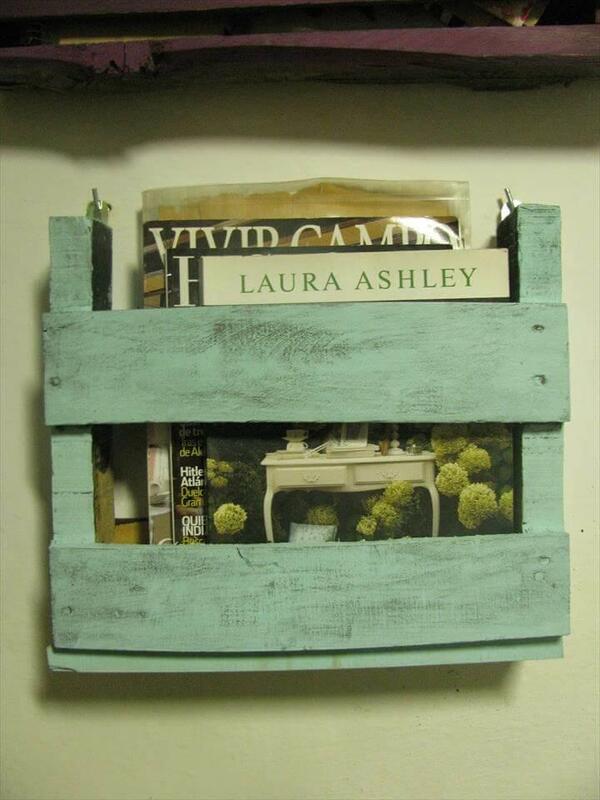 Checkout this wooden caddy or shelf to organize your daily able books! stained black to have great impacts on wall where it is to be hanged or mounted! This practical advice for a free-of-cost magazine will also rock if you have a bunch of magazines to store! Need some tangibles shelves for kitchen, makeup room or bathroom, Build this one even with crumbled pallets to hold kitchen spices, makeup tools and toiletries!